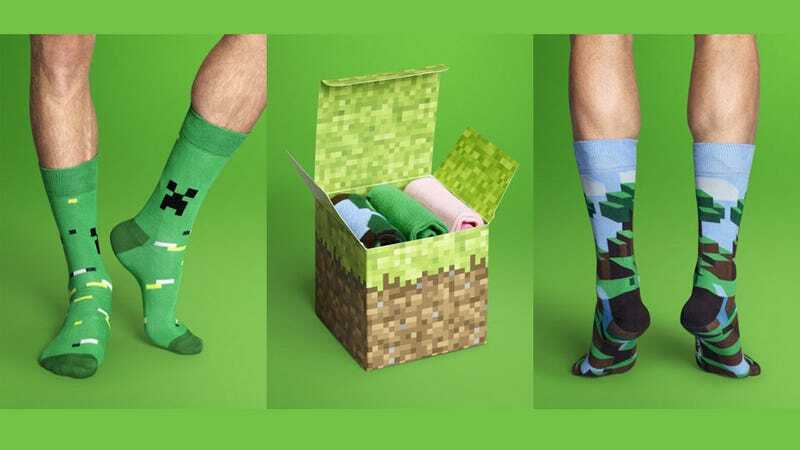 Swedish feet-glove purveyors Happy Socks have teamed up with Minecraft developers Mojang to offer a range of...socks based on the hit world-building game. And as lame as that sounds, they're actually pretty damn cool. Not only do they come in a box shaped like a brick of Minecraft's world, but the three pairs you get are based on the game as well. There's a pink pair for the game's pigs, a green pair for the monstrous Creepers and another with a "world" design on it, featuring clouds, terrain and blue sky. You can buy the box set for 275 SEK, which in USD is just a pinch over $40.